March 2017 - Adelaide Central Market: The City of Adelaide's premier food destination. Over 70 traders under one roof. Please welcome our next Producer in Residence… Raw Bliss! Please welcome our next Producer in Residence… Raw Bliss! 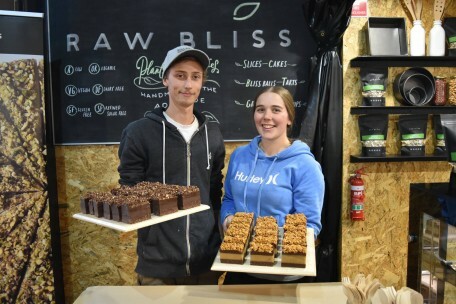 Based in the Adelaide Hills discover their handmade organic plant based treats that are raw, vegan, gluten free, dairy free and refined sugar free. Try a yummy Snickers, Ferrero Rocher, Bounty or Peppermint crunch slice, bliss balls or enjoy a slice of Lemon Caramel or Jaffa cake. Visit the team at the Producer in Residence Stall on Market days ‘til 25 November (next to O’Connell’s Meats).